Lincoln County is now on a LEVEL 2 BURN RESTRICTION. Meaning, you may burn household trash in an approved container that is 10 feet from any other flammable material. ANY other burns must be approved by the Sheriff and the Fire Chief. 1. Building, maintaining, attending, or using any fire or campfire, except a fire within a permanent constructed fire grate in a developed campground. A. Persons with a VALID WRITTEN PERMIT from the Lincoln County Sheriff and Fire Chief that specifically authorizes the otherwise prohibited act. B. Any federal, state, or local officer or member of an organized rescue or firefighting force in the performance of an official duty. 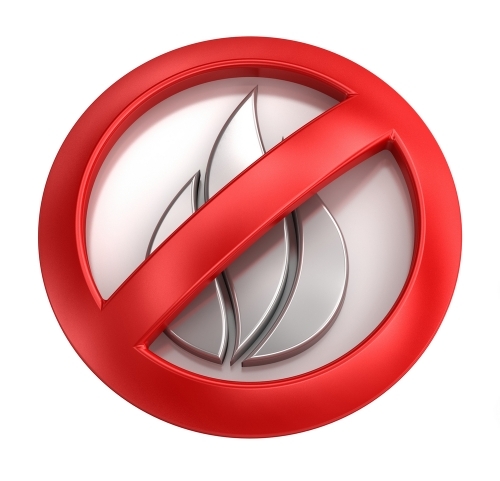 C. Any fires contained within a liquid fuel or gas stove, fireplaces within buildings, and charcoal or propane grill fires at private residences. D. The burning of household trash when contained within a fireproof container sufficiently maintained to prevent escaping flame or burning material from the bottom or sides and screened sufficiently on top to prevent the release of burning material and located in the center of an area at least ten feet (10’) in diameter from which all flammable material has been removed. NOTE: Declarations of “FIRE WEATHER WATCH” by the National Weather Service for Lincoln County will automatically place fire restrictions to LEVEL 2.